Aló is performed in the round and invites the audience into a rich and intimate shared experience. The work is driven by the desire to explore the instinctive human need to connect and how it paradoxically intersects with both the longing to be seen and the desire to hide our inner worlds. It plays with the gap between the stage and the audience, between the dancers and the spectators, so that the separation exposes connection and that which remains is us. Aló is choreographed by Artistic Director ShaLeigh Comerford in collaboration with the Company. Original compositions are by Mike Wall at soundFORMovement. 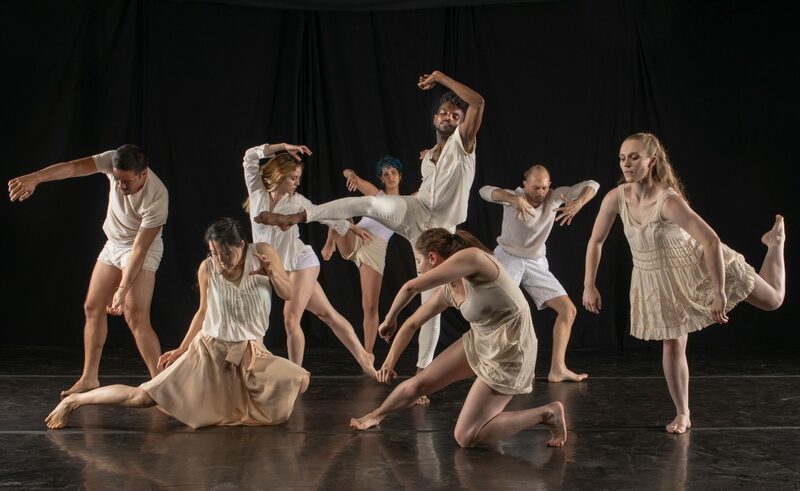 Presented as a part of the 2015 Durham Independent Dance Artists (DIDA) Season.